Updated info On Grand Manan workshop! Just an bit of an update on the Grand Manan Photography workshop scheduled for July 12-15th! Getting lots of interest, I’m pumped and can’t wait!!! Make sure you contact me asap if you are interested in attending as spots are filling up! Please share with anyone you think may be interested as well! New details on MACHIAS SEAL ISLAND TRIP, PRICING, FLEXIBILITY, and TRANSPORTATION below! Grand Manan, named by Readers Digest as one of the world’s 7 best small islands (http://www.readersdigest.ca/travel/world/worlds-7-best-small-islands?id=3) , is a beautiful island full of photographic possibilities! The fishing villages, lighthouses, wharves and boats. Beautiful sunrises and sunsets. Amazing shorelines. A wide array of geological features-cliffs, rocks, sandy beaches. Early summer wildflowers. Being a maritime island, the weather can be upredictable, which can provide some interesting challenges, but also some amazing opportunities! 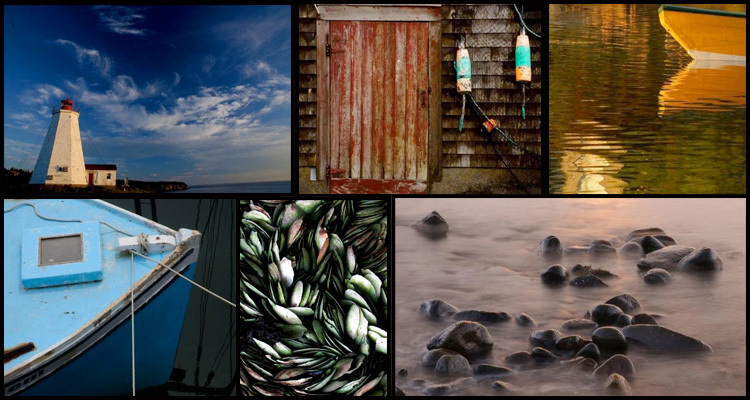 View some amazing photography from previous workshops here: http://www.learnphoto.ca/gallery/v/workshops/grandmanan. This four day workshop is for photographers of all levels, from beginner on up. I will be guiding you around the various areas throughout the island, offering suggestions on settings and techniques to try to capture the best images. Each evening there will be a critiquing session of the days shooting. One day will feature a boat trip to Machias Seal Island, where we will photograph the famous Atlantic Puffins, Razorbills, and possibly see a whale or two! I’ve confirmed and booked Saturday July 14th for the Machias Seal Island trip. Machias Seal Island is a disputed piece of rock in the Bay of Fundy which wouldn’t be special to most people, except for the fact that it is home to sanctuary for seabirds such as Atlantic Puffins , Razorbills, and Common and Arctic Terns! I can take a maximum of 19 people with me. 14 can land on the island with me, the other 5 get to shoot from the water. As I had stated, I’m happy to be flexible with the workshop. So if all the spots arent taken by full workshop participants, I’d be happy to take anyone who wanted to come just for that day! If you need accommodations, I can see what the Marathon can do for you. Schedule for the day will revolve around the trip times, which will depend on the tides. Early morning sunrise/Sunset shoot may or may not be done based on the times. WHAT IF I CAN’T ATTEND THE WHOLE WORKSHOP? While taking the whole workshop will provide the best experience, we can work with your schedule! -knowledge of basic camera functions and settings is preferred, but Noel will be going over the settings to use throughout the workshop! I will be setting a date for a non refundable deposit near the end of May for $100. This will allow me to ensure spots for the Machias trip. For those not staying at the Marathon, meals can be included for an extra cost. I have room in my van to transport people from the Saint John area to Grand Manan and back. If anyone wants to save gas, or they need a ride, let me know and we’ll book you a spot in the Chenier Quest express! Contact Noel to express your interest. Once I have enough to make them a go I’ll set a payment date and confirm final details. As always, please forward the info to anyone you think may be interested. VERY IMPORTANT-It is highly recommended that you reserve a spot for your return trip. LEARNPHOTO.CA, Noel’s online photography learning community!